Helpful ways to de-stress when you're having a bad day. Hey everyone! Hope you're well! 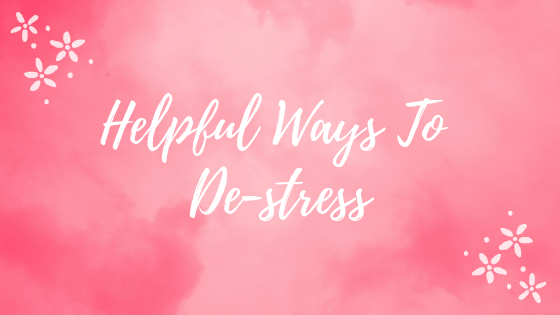 Today's post is some helpful ways for de-stressing. The title is for when you're having a bad 'day' but this isn't always the case, and you might feel stressed for a lot longer than a day. I get stressed so easily, so it's something I am working on too. It's so important to take care of ourselves, it's normal to get stressed every so often, but when it starts taking over your life that's when it can get serious. 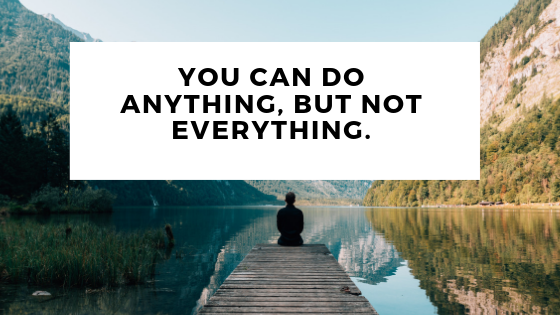 It's quite difficult to actually pin down what stress means, you might feel stressed because of certain situations or events that might make us feel pressured, it may be that you don't have much control over the situation. Also, the feelings we get when we are under pressure, I'm sure you've all felt this at some point, it may be that you've got a lot of work to do which is piling up - this can then cause you to feel stressed. From looking into stress, I found on the MIND website that there is no medical definition of stress - health professionals often disagree whether stress is the cause of problems or the result of them. This means that it can be difficult for you to work out what it is that's causing you stress and how to deal with the stress. However, there are many different ways for you to manage your stress. #1 Stay positive - I know that's a lot easier said than done. Often when you're feeling down or stressed it's so difficult to stay positive. Laughing more can really help, it is known that laughing lowers levels of stress hormones. Have you ever heard of the saying 'fake it till you make it.' I know this is often more directed to a job and people say to fake being good at something and you'll likely end up 'making it.' It's all about being more confident, tell yourself and others around you that you can do something, if you believe that you can, you'll find that you'll be able to accomplish it. I find that if you're feeling down, force a smile onto your face, even 'fake' smiling can make a difference, you'll start believing that you feel fine and then you actually will feel good. ♡ I like to make sure I find the positives in situations. If you've had a busy day at work and it's made you feel quite stressed because of the workload, think about the things in the day that did make you smile. What about that conversation you had with your colleague, that was funny wasn't it? That's just an example, but you get the gist. I know personally how hard it can be to focus on the positive things, we tend to get hung up on anything negative that happens rather than thinking about the positives. Try and give it ago, maybe throughout the day have a little notebook with you, that way you can write down something that was positive. Then, at the end of the day you can look back at it, and that should help. #2 Exercise - Yes, I'm sure you've heard it a lot, I've probably spoke about exercise in the majority of my mental health posts. It really does help. Every time you are physically active your body releases mood-boosting chemicals called endorphins. Therefore you start to feel more positive and happy, and also perhaps while you are exercising it's a little distraction for you. Also it doesn't matter what your fitness level is, you can do anything from going on a stroll for 20 minutes to running a marathon if you want! (I definitely cannot run a marathon at the moment). ♡ I feel like I mention this a lot too but just to show you how I feel personally after exercise can hopefully encourage you to do some if you're feeling stressed. I used to go to a gym class once a week which started at 8pm - I had times where the thought of going to the gym so late was just a definite no from me. However, I used to force myself to go because I knew that I really enjoyed the class and the feeling I got during and afterwards was so positive, I felt so happy and good for pushing myself to do it. Like I said above, it doesn't matter what your fitness level is. Maybe you don't even want to leave the house, then sure, do some exercise at home. There's so many YouTube video's and exercise DVDs that you can get nowadays. I find that when I'm at home all day and I do some exercise in the morning - just a half hour workout, I feel so motivated and positive for the rest of the day. ♡ Adding onto this, you could do some yoga or meditating too. 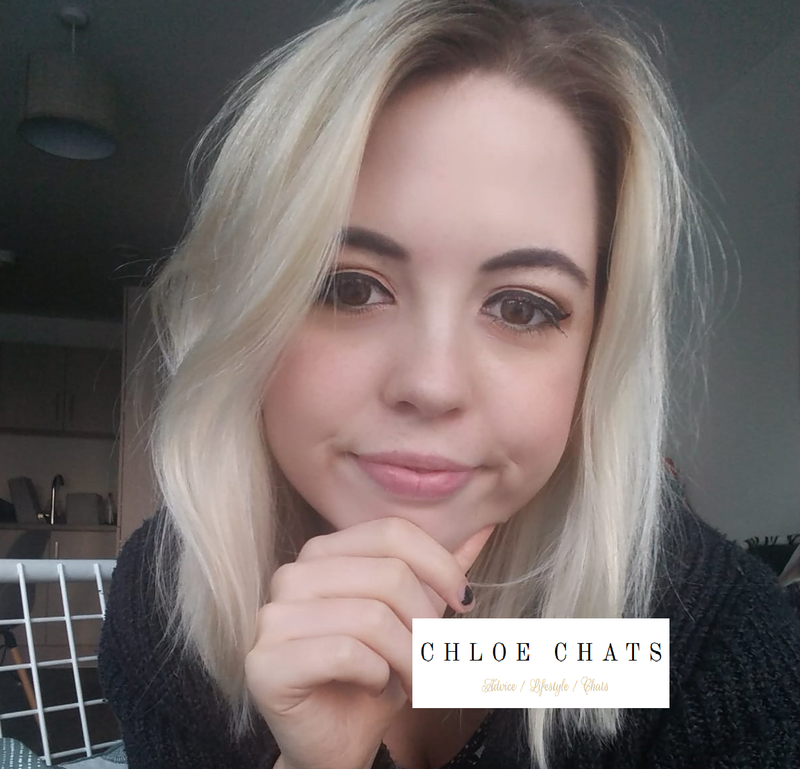 At the moment I'm feeling quite anxious, and I often go to bed at the end of the day feeling terrible - I feel like my heart is going to beat out of my chest and it just takes me ages to sleep. So, I have been using the meditating section on the Calm App I have - I wrote about this in another post here. I've not done much meditating before so I'm no expert, but this 7 day meditating section is teaching me and I have to say it makes me feel very relaxed before I go to sleep. #3 Unplug - This is so important to do, especially after you've been at work or you've been doing work all day at home. Don't come home and continue to work through your emails, you can still talk to your partner or a family member that you may live with about your day, but perhaps try and stick to the positive stories. Although if something did upset you in the day, maybe talking to your loved one can help too. I know if you're a full time blogger it might be a bit more difficult to get out of 'work mode,' but give yourself the same amount of breaks you would get when you work in an office, or in a shop, and if possible give yourself some time in the evening to settle down and do something else - or if you like to blog more in the evening, then have a few hours in the morning or in the afternoon to yourself. ♡ I always try to leave any work thoughts when you walk through the door on the way home. It's not always easy, but I try and clear my mind completely, and I forget about work until the next morning when I walk through the door. #4 Identify your stress triggers - As I said at the beginning, I know it can be hard to find out what it is that is stressing you out. Try and think about what stresses you out? When you find something that triggers it, how do you react to it? Do you let it consume you, or do you try and shake it straight away. Like most things, when you come to learn about something and really understand it, it's not as hard to deal with. Obviously, you'll still have your bad days of course, but if you know how to manage it or what it is that stresses you out you can try to avoid it - sometimes it is unavoidable though. ♡ Sometimes I feel stressed and my partner asks me what it is that's stressing me out and I can't even give him a proper answer sometimes - and that's pretty normal. If I'm feeling stressed I will try and do something that I know will distract or me, or help me to feel calm again. I often find as well that talking to someone about it can be super helpful. If you know what it is that is bothering you, then get it off your chest and tell someone, it can help you when it is out there, but also that person you tell can help you with managing it - maybe they'll give you some great advice. Understanding how stress manifests in your life is the first step to finding balance. #5 Do something you find relaxing - Similar to what I said in the 'unplug' point - but please if you're feeling stressed don't just sit there worrying about it as it'll only get worse. Do something that you love to do, it may be that you really enjoy lying in bed, with some treats watching movies or your favourite TV show - I know I do! Even when you're not feeling stressed, I'd advise you to make a list now of everything that makes you happy or makes you feel relaxed, and put it somewhere safe - perhaps put it on your fridge or hang it up somewhere! Then, when you're feeling stressed go and have a look at that list and pick one to do. You can also keep adding to the list too, and if you live with others you may find that your list can help others too. ♡ One of my favourite things I like to do to feel relaxed is to run a bath, get my laptop propped up on my washing basket, and then sit in the bath whilst watching Netflix or watching something that I love and you don't have to get out of the bath to change it - so for example, I don't tend to put YouTube on because the videos are normally like 15 minutes at most, and then it just flicks through ones it thinks you may like! Because of that, I usually stick to Netflix, stick something on for an hour and then get out of the bath. Adding onto this as well, I'd definitely recommend getting fresh air. This is something I need to do more, but if you work inside all day it helps so much to just go outside on your break and go on a little walk if you have the time. If you work from home, or you're just at home all day normally, go for a walk for an hour, give yourself a lunch break and see the outside. I know it's so cold at the moment so it might not appeal to you, but wrap up warm because it's not healthy for you to be locked up inside all day. I know for some it can be so hard to leave the house, so if that's the case, I'd recommend opening your curtains, opening the window and letting some of that fresh air inside. These are my tips, I hope you enjoyed the read and that they have been helpful. Tell me in the comments below what you like to do to de-stress! Like I said at the start, I get stressed so easily, so I'm always looking for advice. p.s. You can vote for me in the UK Blog Awards: Link here. Excellent ideas! I'll try some. This is a lovely, really informative, helpful guide. i struggle with stress (combined with other things) quite a lot. A lot of these things are already on my list too. Going outside and getting fresh air really is so important for those who struggle with anything to do with mental health! And although exercise is pretty low on most people lists of Favourite things to do, it helps so much! Some great advice here Chloe. I find having a good playlist ready to play on the way home is a good way of quickly getting over a bad day! Reading is my perfect way to destress. It is the only thing that can shut out everything else. Fab post! I had a rubbish start to the year and decided to take up Yoga and it deffo helps de-stress me. I always notice a difference after a class. Also voted for you in the Blog Awards! Good Luck! This is another fabulous post and just what I needed tonight. Feel really restless and kind of on edge but this is making me think about what is making me feel like that. Gorgeous post - I love your blog! When I have a bad day, I feel like I stress over everything whether it be big or small. I'm never really sure how to de stress and half of the time, I go to bed feeling exhausted or just as stressed as when I began stressing. These tips will be a big help and hopefully, I will start using some of these to help me so that I can sleep better at night too! These were some great tips! Stress is a really big part of my life too and I should really learn how to de-stress because it makes me restless and gives me migraines. Will definitely try these tips! Lovely tips! Personally I take a hot shower to de-stress. Does wonders in relaxing the muscles and clearing the mind. Some great tips. Personally I love to stick on some trash TV that I wouldn't normally watch like Real Housewives. This is a great post. It's indeed very important to get out of the stressful lifestyle, the impacts of stress can be so harmful actually. Yoga always helps me destress but I agree that you also need to know what your triggers are. These are great tips, something i really need to do is switch off my phone after a long day in order to get some respite and to de-stress. Lots of good advice here. Fresh air is very important. I would say even if you don't feel up to going outside then look out of a window and if you can open that window for a few minutes it will help refresh things. This is such a helpful post. I'm definitely guilty of not unplugging- I work all day only to come home and work some more and I really should learn to give myself a break. I definitely agree that exercise helps with de-stressing and feeling more positive but I wish it wasn't so difficult to get myself to the gym in the first place! Music is a big one for me! Music always helps me relax when I'm stressed. And once we put our kids to bed- watching a favorite TV show. Something simple that I don't have to think about but can just enjoy! Great post, finding positives from a bad situation is something I've done as much as I can it really helps. I needed to read this, thank you. Anything that could go wrong, went wrong today. But tomorrow is a new day. Great tips Chloe, we all need to find our ways to de-stress. For me, it's having a bath, doing some Yoga or playing video games! This is a great post! I'm currently taking a distance master's program in child studies & at times the workload & deadlines can stress me out. However, I make sure I have a proper lunch & watch Netflix so I can relax a bit during the day. Then when I'm going to pick up my daughter (her kindergarten is a 30 minute walk away) I listen to an audio book & it helps me relax & get out of study mode. I don't focus on my studies in the evenings & after my daughter goes to sleep I spend time doing something I enjoy from blogging, watching Netflix or playing a video game. These tips are brilliant! I can definitely relate to you in being someone who is heavily affected by stress, and as an act of self care it's something I'm really trying to find ways to manage. The unplug one is a massive one for me. I work from home, so it's a little more difficult than leaving the thoughts at the door, but I try and have strict times when I finish work by, and after that, my laptop is strictly for what I enjoy. It's difficult, but it's so worth it when I wake up the next morning ready to work because I haven't been hammering out evenings into the night like a mad woman! you're so right about the fresh air, it does wonders!! These are great ideas Chloe. Taking time for myself and unplugging help me when I'm feeling stressed, along with talking to someone. Living in my head is always a bad idea.